Madurai : The Madras High Court Bench here dismissed the anticipatory bail pleas of two city-based doctors booked for allegedly implanting expired coronary stents in heart patients under a government insurance scheme for poor people. Justice P N Prakash rejected the anticipatory bail petitions of Dr D Saravanan, head of Saravana Multi Speciality Hospital, and Dr R A Janarthanan, observing they had acted in gross disregard of the sacred oath taken by them as doctors. The two have been charged with implanting the stents in six patients after the expiry date knowing fully well that they were old stocks. “My judicial conscience is standing in the way of granting the relief of anticipatory bail to Saravanan and his cohort R A Janarthanan,” the judge said. The Judge said two staff of the hospital had told the police that the doctors, in connivance with one Tirumala Traders, had knowingly purchased the expired stents and implanted them in patients covered by the Chief Minister’s Comprehensive Health Insurance Scheme. The fraud had come to light when officials of Vidal Health TPA PVt Ltd, who guided the scheme, inspected the hospital on information that expired stents had been used and found two expired stents in the store room. The hospital and the suppliers blamed each other and gave counter complaints against each other over the issue. Later, they arrived at a compromise and withdrew the complaints. 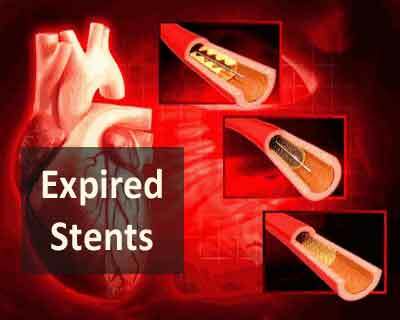 However, police investigated a complaint by the Vidal Health TPA Pvt Ltd and found that out of 11 expired stents only five were seized and the remaining implanted. Additional Advocate General Chellapandian, who opposed the bail pleas, said expired stents had been used. The Judge pointed out that Saravanan had agreed he had received 11 expired stents from the suppliers but could not account for six stents. “The natural inference that even a child can draw is that the stents have been implanted into poor patients who are now carrying them in their bodies and it is not known when they are going to kick the bucket before their natural expiry date,” the Judge said. The judge, however, granted conditional bail to thehospital staff saying there were mere cat’s paw of the doctors. They were young people and their future would be ruined if they were arrested. The three were asked to execute a bond for Rs.10,000 each with two sureties for the like sum and asked to cooperate with the investigation and sign before the city crime branch police daily at 10.30 am. A life time ban on medical practice and snatching away the degree is a justice in such cases. This is criminal. Unethical practice by Doctors has downgraded respect & recognition of Doctors in the society we must refrain from unethical practices even in private setups despite managements pressure.